Nowadays, many online services don't allow you to set up simple passwords for online accounts, for obvious reasons. While it is a good security measure, this forces us to memorize several complex passwords. An excellent solution for this particular issue is to store the passwords in a secure database, with a specialized application. This is the functionality you can expect from LastPass. It gives you the possibility of storing usernames, passwords and other sensitive information in an online vault. Also, the application's auto-fill capabilities can spare you from typing anything when you log into an account or when you create a new one. 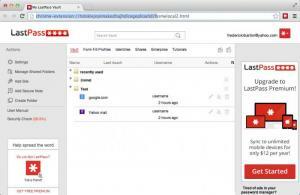 Essentially, LastPass is a browser plug-in, for Safari, Opera, Internet Explorer, Mozilla Firefox and Google Chrome. It gives you access to a web-based user interface, on which you can manage login credentials, personal notes, form fill profiles and other information. New account entries can be created just by filling in a series of input fields. Once installed, LastPass will place a new button on your browser's interface, which gives you instant access to your vault's contents. Rather than typing your username and password, you only need to click an icon, in one of the input fields and select an account. This will fill in both fields instantly. Additionally, you can set the application to log you in automatically. With the new options on your browser, you can do more than signing into your online accounts. For example, when you type a username and a password on a login screen, you may click the same icons in the input fields to add the credentials to the vault. Also, if you have at least one form fill profile, you may click such an icon when creating an online account. All you have to do is select a profile and all input fields on the sign-up page will be filled in automatically. When it comes to setting up a password for your new account, you can use the application's password generator to create long and complex passwords instantly. The best part is that you don't have to remember the password, regardless of how easy or complex it looks. You only need to remember the master password for your LastPass account, which is quite important, because there is no direct way of recovering it if you lose it. You can store usernames, passwords and other important information in a secure vault. The application provides options for logging into an account instantly, without typing anything. Also, LastPass comes with auto-fill capabilities for large sign-up sheets. There are no obvious issues to address. Thanks to the smart functionality that LastPass has to offer, you only need to remember a single password to protect countless accounts. 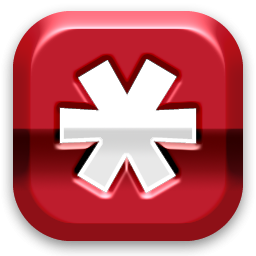 You can download LastPass free here.